Imagine you’re walking down the street and see people lining up outside a local business you hadn’t noticed before. Would you look it up online? Would you go in to see what the fuss is all about? Probably. Because humans are curious beings, we tend to follow the herd. Line-ups are an example of social proof and as social creatures, we’re suckers for it. The term social proof describes the idea that humans look to other individuals when decision-making and model their behaviour. Simply put, the more people endorsing your dealership both online and offline, the more credible and trustworthy your dealership will appear to other car shoppers. Therefore, since we all trend towards fitting in, the more forms of social proof prospective customers see online, the higher your conversions may be! So how many reviews should you have? Our recommendation would be to try to get as many as you can across a variety of platforms (Yelp, Google, Facebook to name a few). If you need to improve your review generation and management strategies to capture as many as you can, we wrote some tips in this blog post here. Social media plugins and widgets can be incredibly helpful forms of social proof if you are active on Facebook, Twitter and/or Instagram and your dealership has an engaged following. What are these widgets? They’re boxes that take up a small amount of space on your website but carry a real punch of credibility. They can show car shoppers how many followers you have, your most recent posts and more. 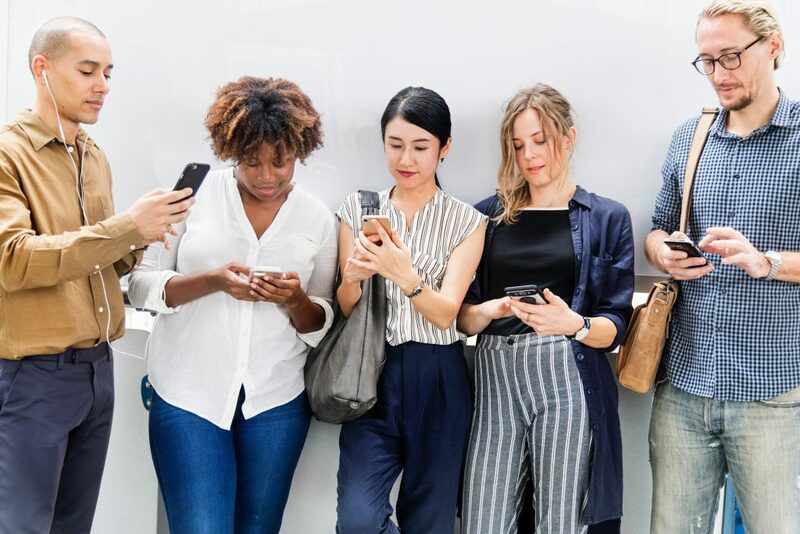 If a car shopper is browsing your dealership’s website and notices that you’ve got thousands of followers, some of whom may even be connected to that person in some way, it could be very influential in their decision to choose your dealership over another. Another benefit to sharing your dealership’s social media activity via widgets is that it shows your engagement with customers and community and helps to humanize your dealership! Not to mention it can give you another opportunity to show off your shiny inventory while simultaneously offering social proof. Double whammy. If your dealership has a highly engaged social media following, consider popping a widget on your website (if your website provider allows this customization, we certainly do!) If you don’t have many followers or your dealership isn’t active on these networks, you may want to think about working on your social presence before going further. Beyond sharing the company’s logo, why not share the entire coverage? By sharing the full articles, blog posts, mentions or news stories on your website, you can help support your SEO efforts. It’s an opportunity for additional content on your website, has the potential for both outbound and inbound links, and provides additional amplification across all your channels. A quick and simple way to build credibility is to create a space on your website to put badges, icons, certifications or seals for companies that your dealership is affiliated with. As you can see on our website, we have icons for the certifications we’ve completed and for the partners we work with. Crestodina calls this the “trust box”. He suggests that you can also add in BBB membership ratings, Yelp ratings, association memberships and awards that your company has won. Lastly, going hand in hand with reviews, another very powerful form of social proof are customer testimonials. Whether the testimonials are written or video content, they’re highly effective forms of social proof. As we mentioned in our last blog, over 75% of car shoppers’ purchases have been influenced by videos online. Luckily, nowadays our cellphones have the capacity to shoot high-quality videos, so if you’re able to put a video testimonial on your website, it could go a long way for conversions. In fact, “Videos on landing pages increase conversions by 86% (Boast).” Imagine that the video is a testimonial of a customer jumping with joy because of their new car purchase! Okay, now we’re talkin’. Here’s an example (and a shameless plug) of one of our very own video testimonials. Let’s face it, humans love following the crowd—especially when we’re buying something significant. We want to know from an unbiased source that the business or products we choose are reputable. Reviews and ratings, social media widgets, media logos, certification logos, and testimonials are all forms of social proof that have the power to influence a car shopper’s decision to choose you over a competitor. In our premium website and digital solutions, we use social proof methods to convey to our dealer clients’ prospective customers a high level of trustworthiness and reputability. Get in touch today to find out more about how we can help harness social proof to help your dealership reach its goals.